Tetris Super Jackpots - Try this Williams Interactive Slot Today! 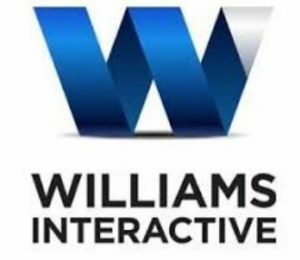 It’s an April 2018 release by Williams Interactive (WMS). In case you didn’t know WMS created the famous Raging Rhino slot and they’re an award-winning game studio. There’s no doubt that everyone anticipated this new release, but does it live up to the legend? Tetris Super Jackpots is, as you guessed it, inspired by the skill game. The gameplay offers a mix of video slot and the puzzle game you love. In essence, Tetris Super Jackpot has 243 ways to win, a dynamic payline structure and three jackpots that could win you up to 2,500x your stake. There’s no doubt that its theme is an absolute crowd pleaser! But know that Tetris Super Jackpots features are very different from the original game. So if you wanted to learn how this slot works, just read what’s next! 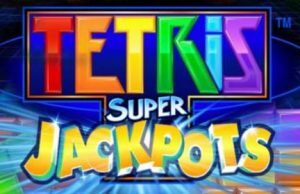 How to trigger the bonus features of Tetris Super Jackpots video slot? First of all, you’re probably curious to know how to win one of the 3 Jackpots. Well, before we give you more details about that, it’s worth mentioning that the jackpots are not progressive ones like the ones you’d find in Wonderland or Biker Pigs. In fact, they’ll always give you 50x stake (Mini), 250x stake (Minor), and 2500x stake (Major) and that the value of the jackpot is determined by your stake. So, you should think of them more like a “max win” as opposed to “pooled jackpots”. Makes sense right? Anyhow, it’s worth knowing that you can only win a jackpot via the Free Spins bonus game. To win a jackpot, you’ll need to make a winning combination, which is part of a Golden Watermark displayed at the back of the reels. As always you’ll trigger the Free Spins bonus with 3 or more Scatter symbols. Why should you play Tetris Super Jackpots video slot? In short, the Tetrimino feature is an excellent random feature and it’ll remind you of the actual skill game. You’ll know that this feature is active when a Tetris block appears on the reels and matching symbols land on a payline. This will automatically expend the game grid and give you the possibility to make more winning combinations. Very much like in the original Tetris game the blocks can appear in various shapes and sizes, and it’s honestly a very good feature. Also, when we tested the game, we especially like the Free Spins bonus because the grid expands to 5 reels and 8 rows. Plus, we thought the Golden Watermark feature added a good level of excitement to the game. Even if (let’s be honest), the jackpots in Tetris Super Jackpots are not as life-changing as some other we’ve mentioned above. Anyhow, a win is still a win and if you’re lucky you’ll still win enough to treat yourself. Try it out at Golden Nugget Casino today!